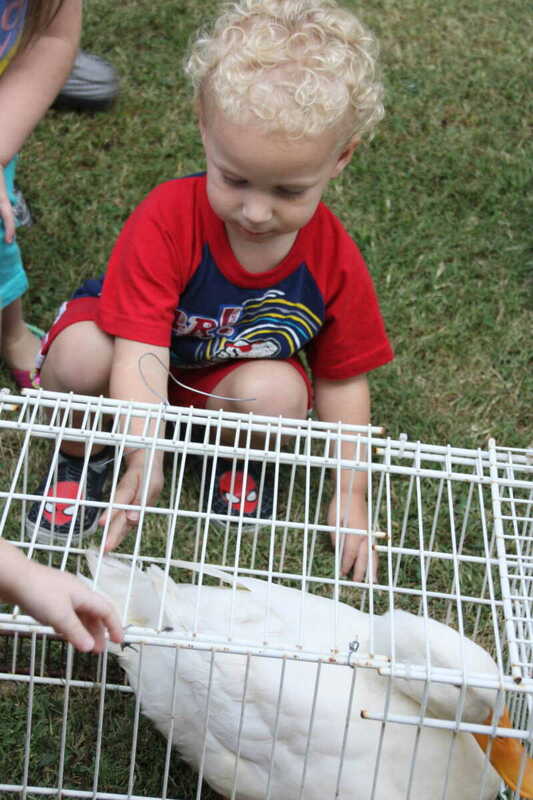 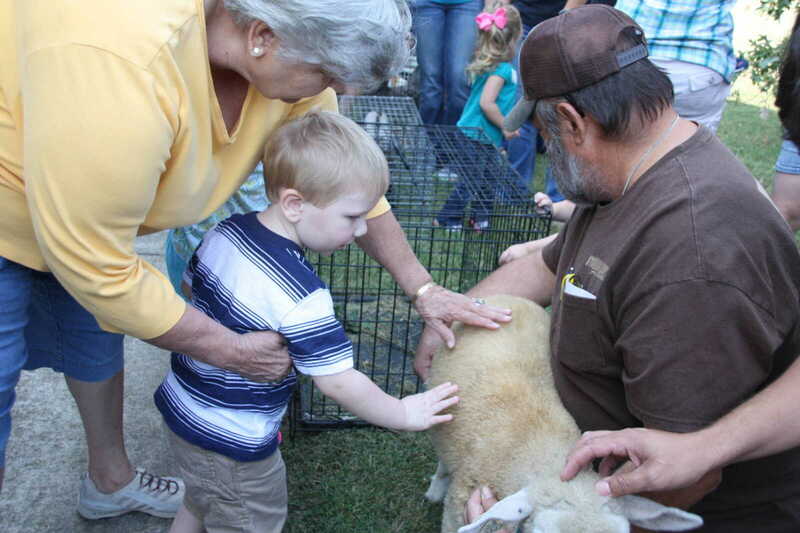 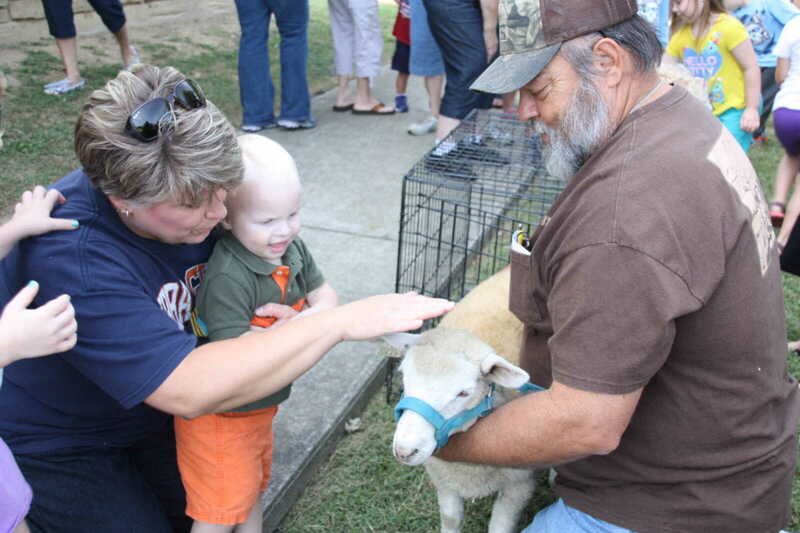 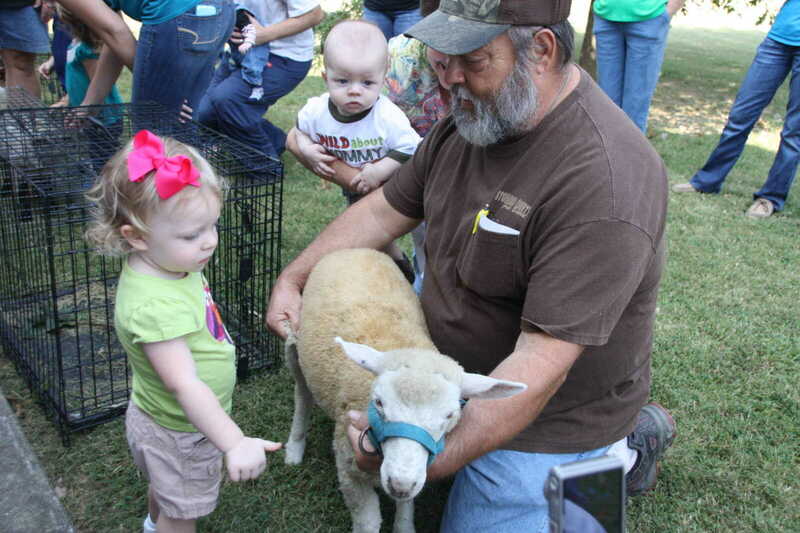 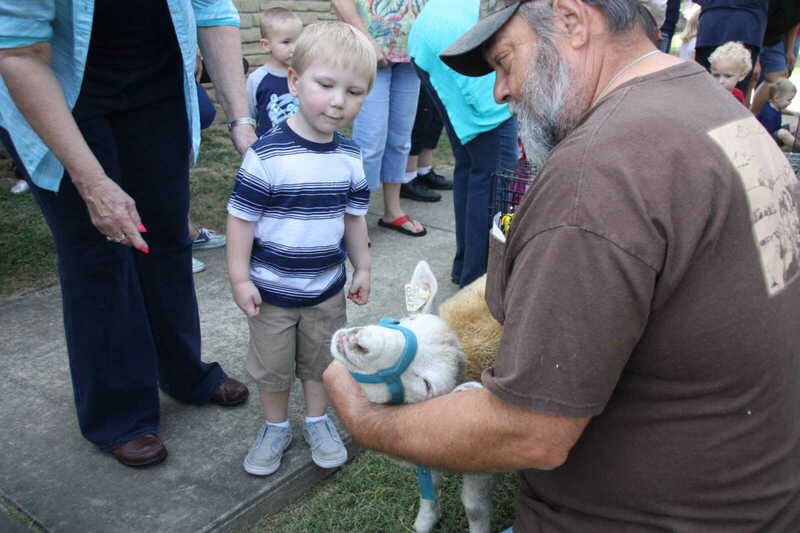 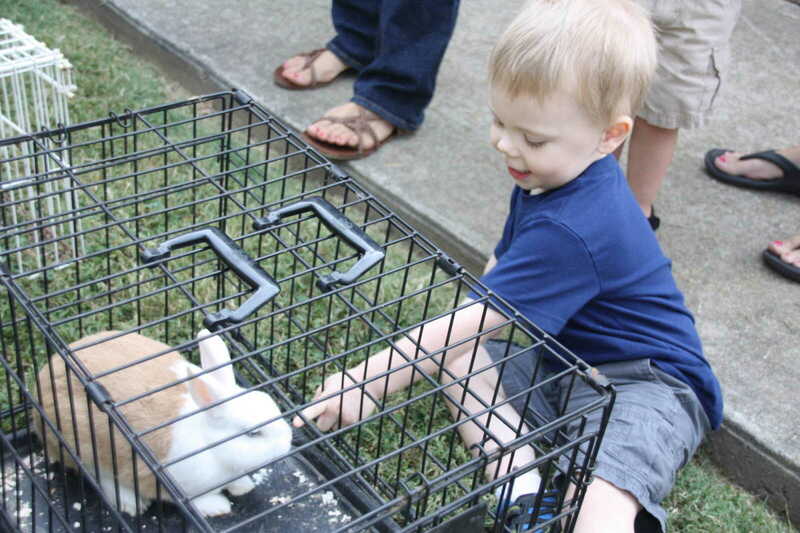 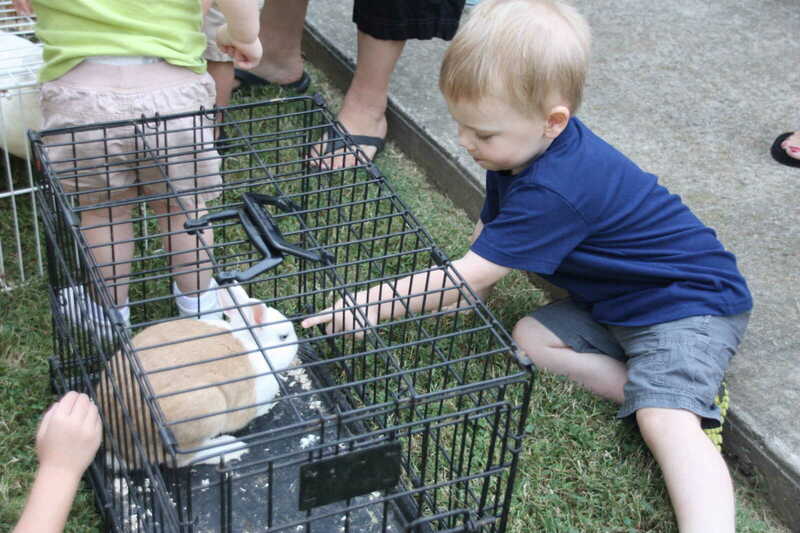 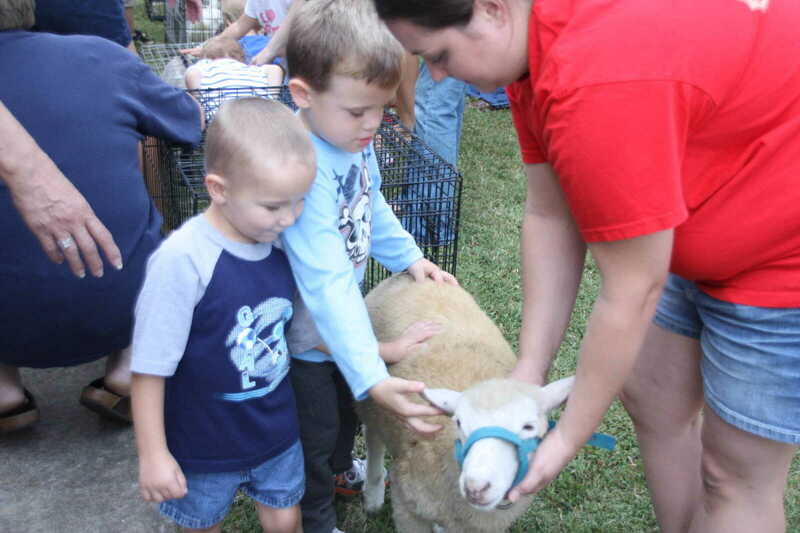 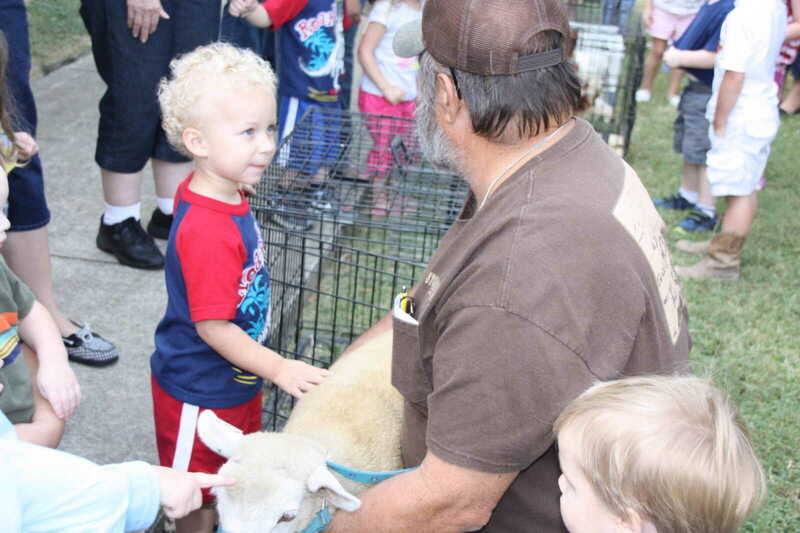 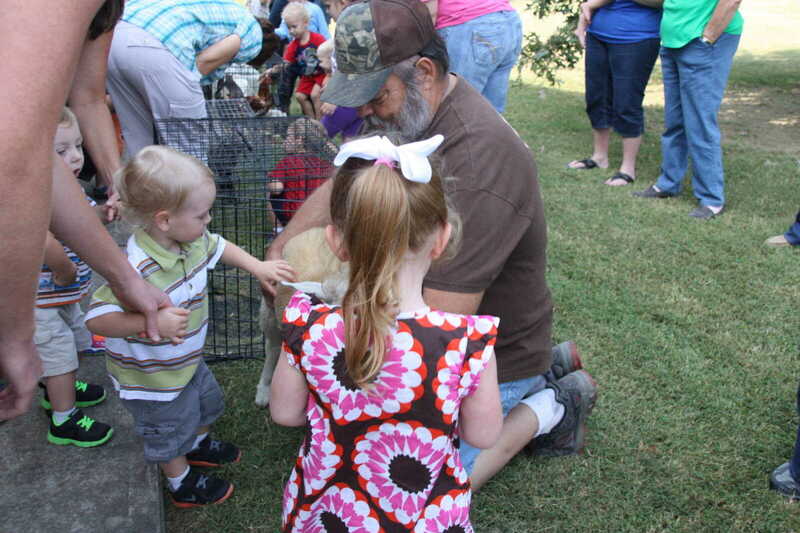 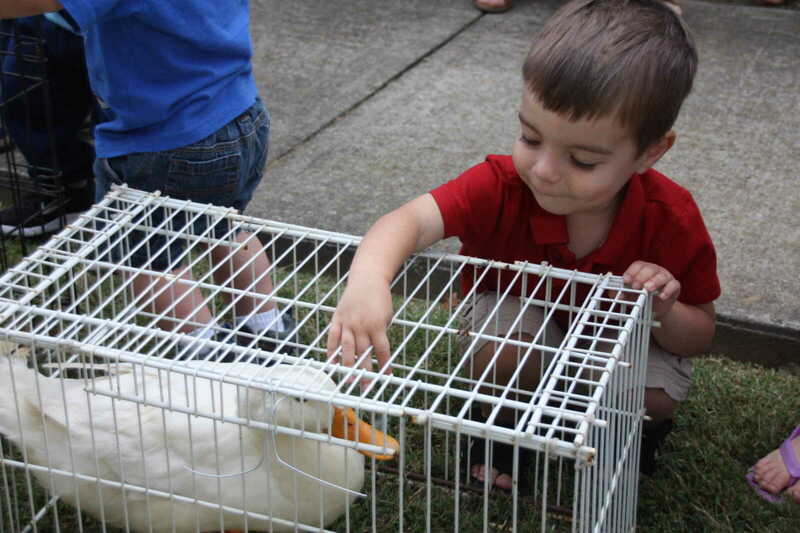 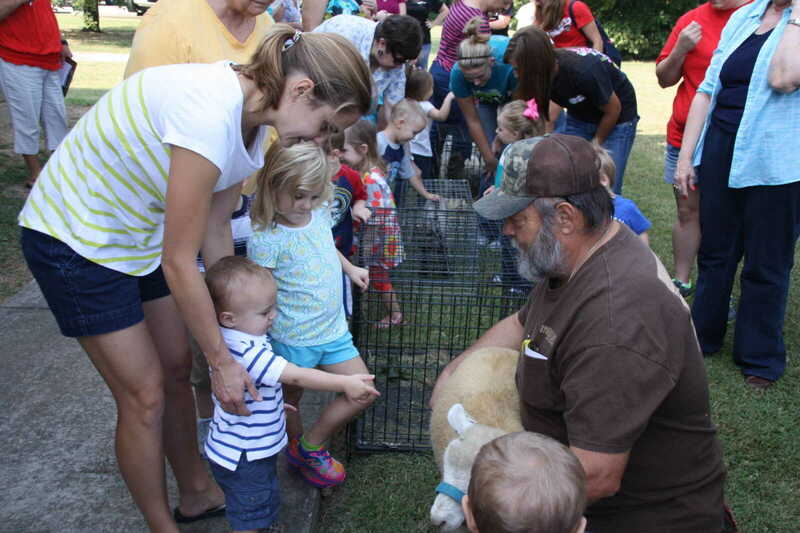 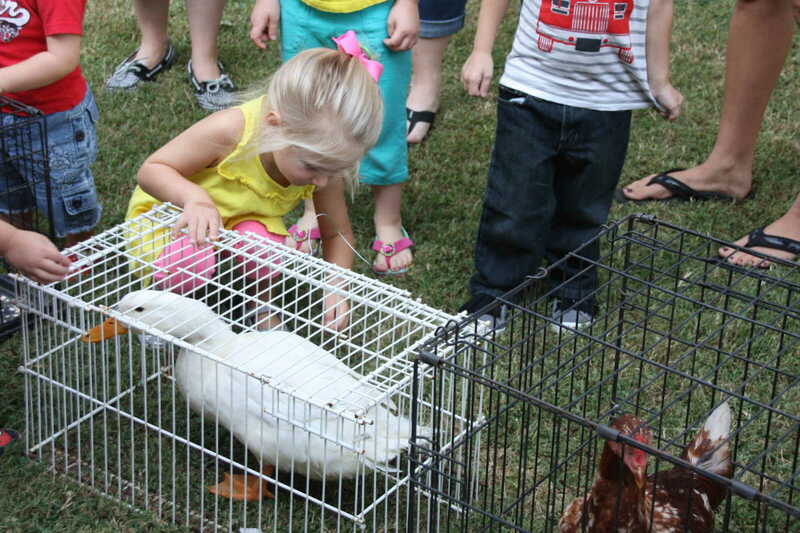 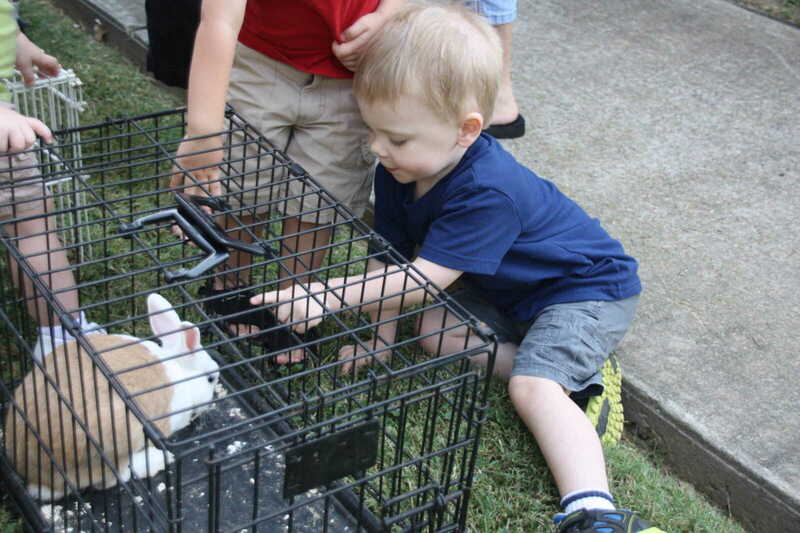 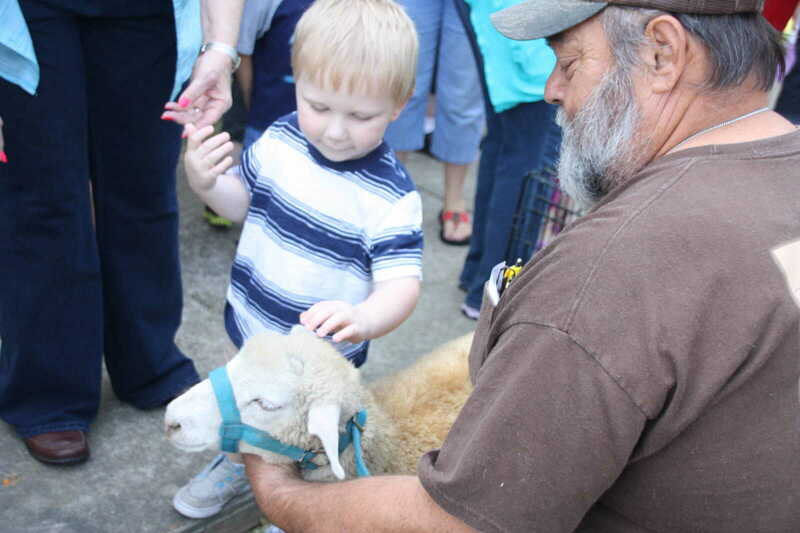 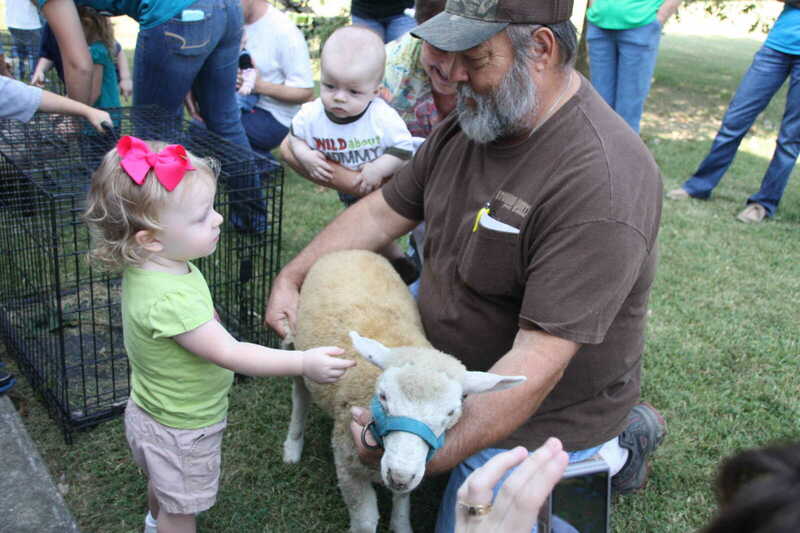 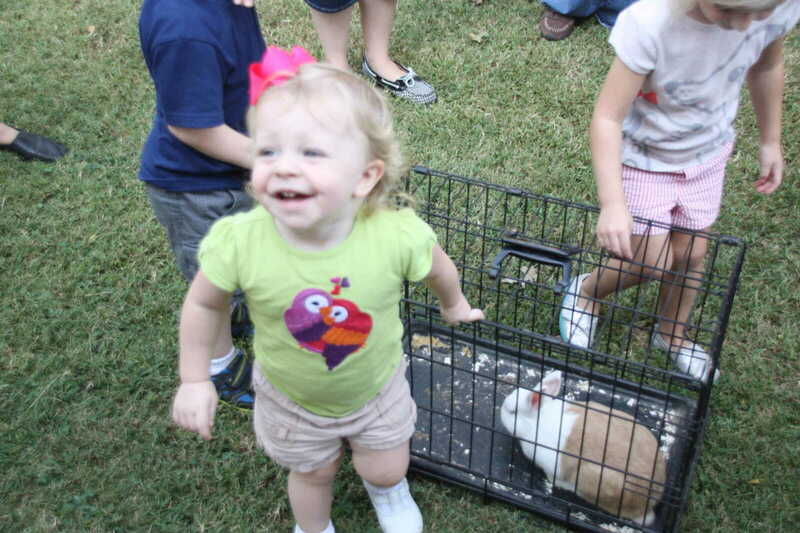 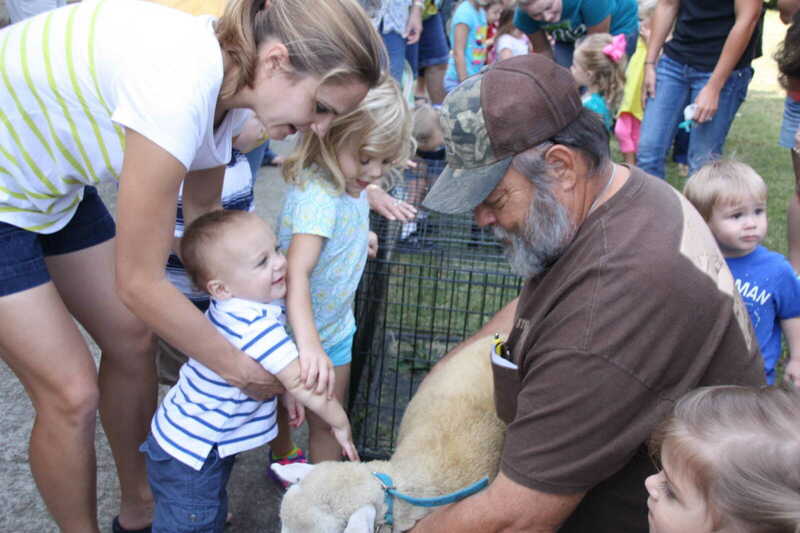 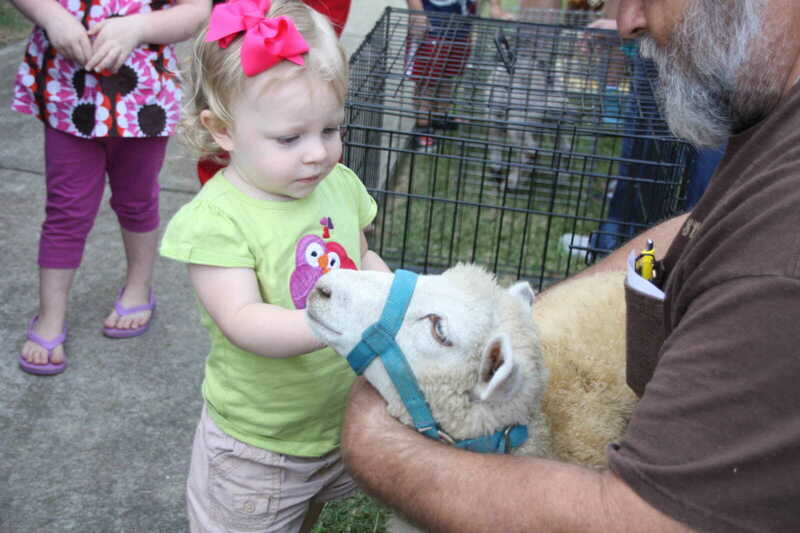 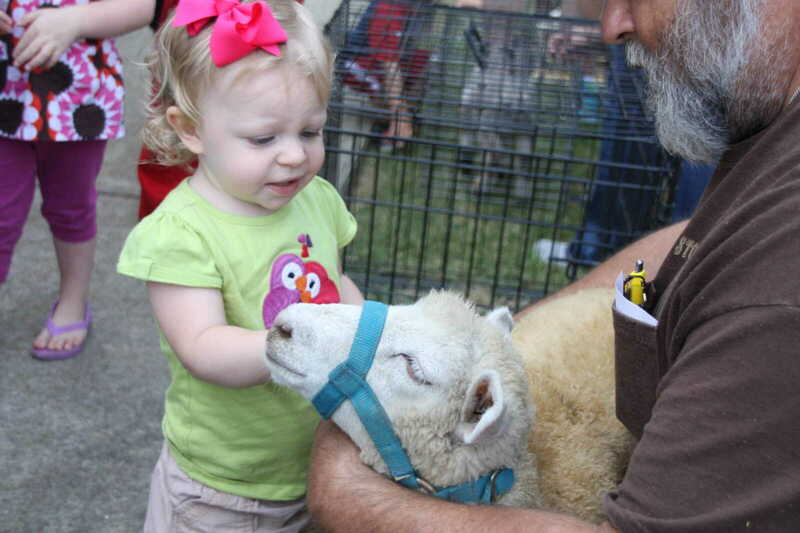 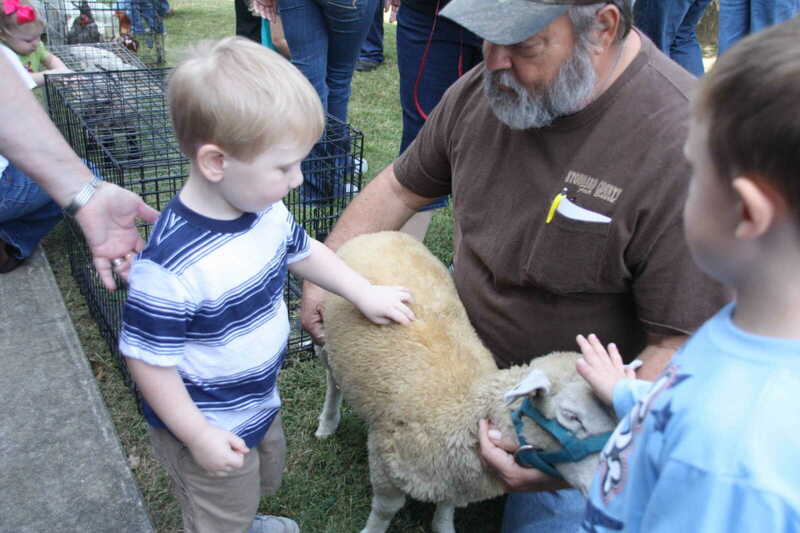 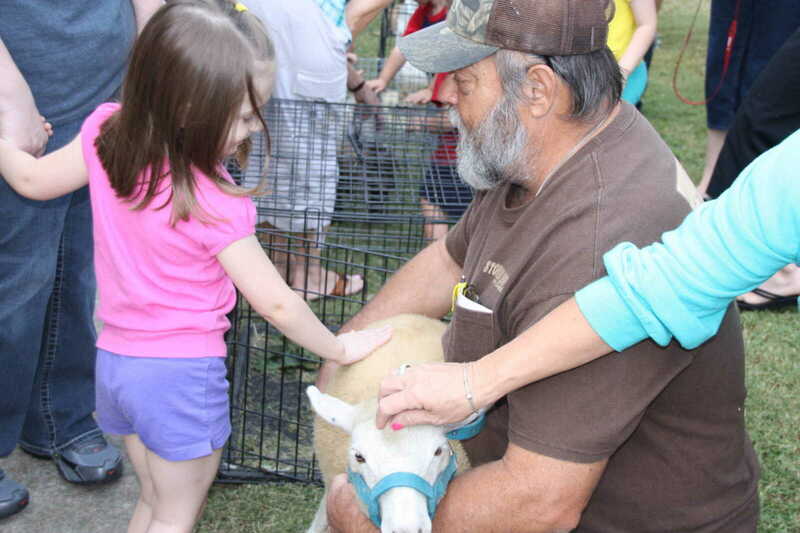 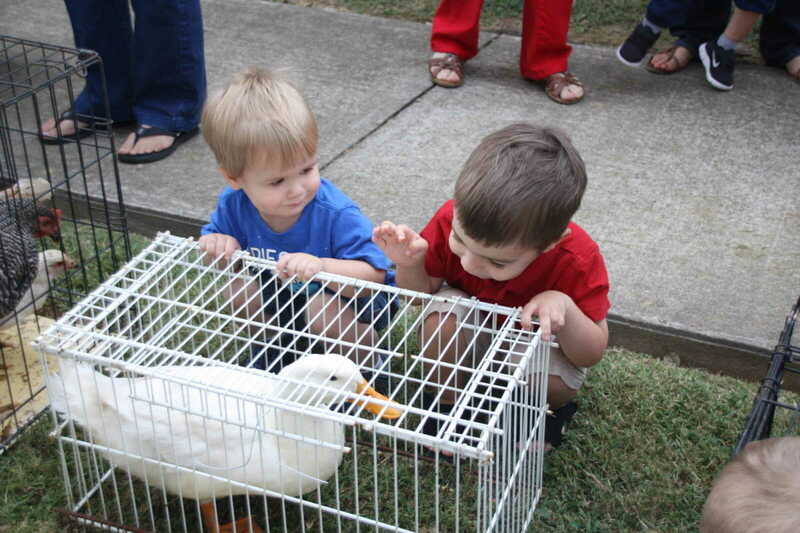 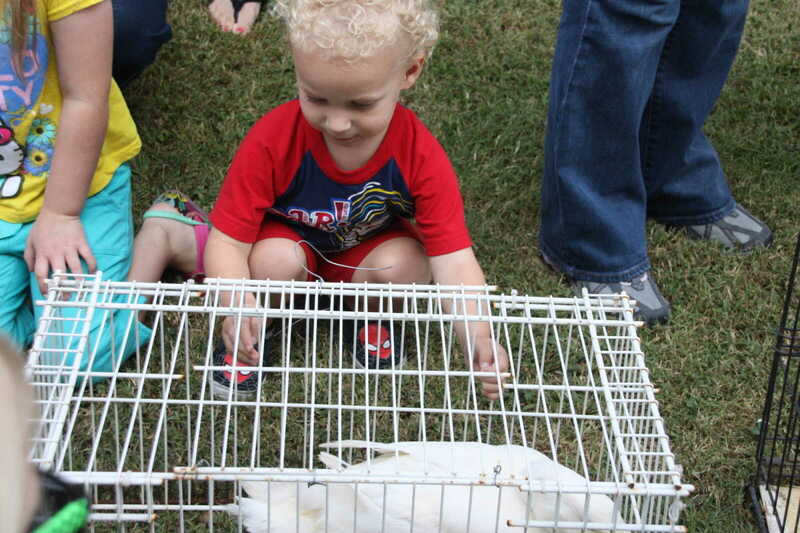 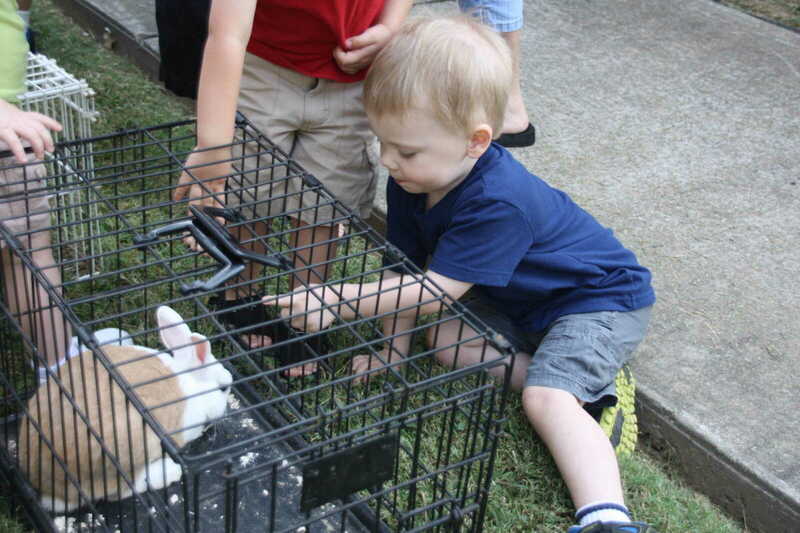 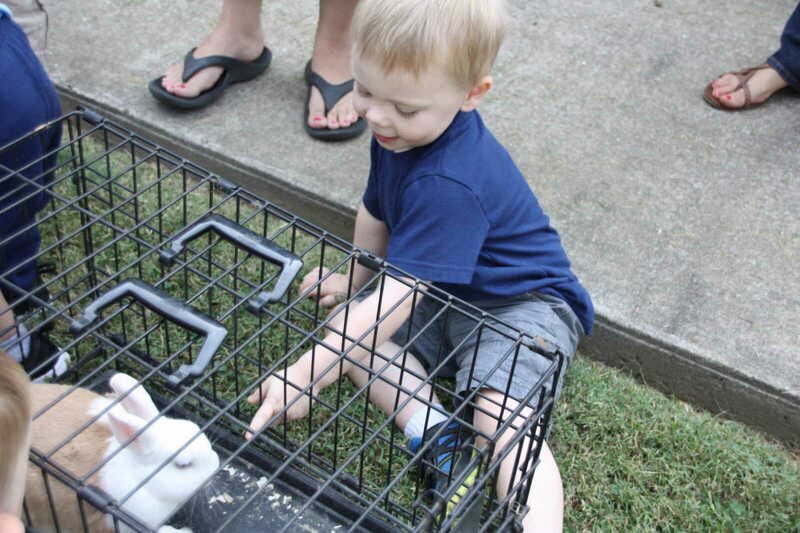 Every year on Stoddard County Fair Parade day, Sammy and Jeanie Huey treat the visitors to Keller Public Library's Story Hour with a host of farm animals. 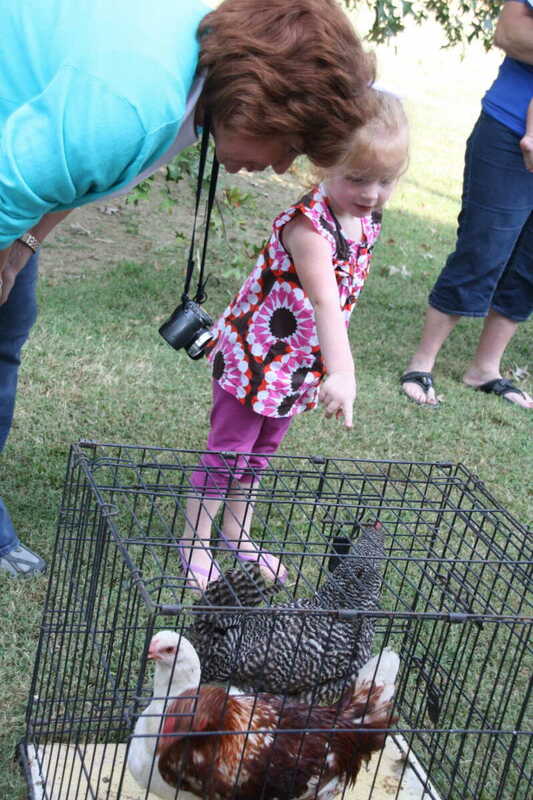 This year's visit took place on Tuesday, Sept. 17, 2013. 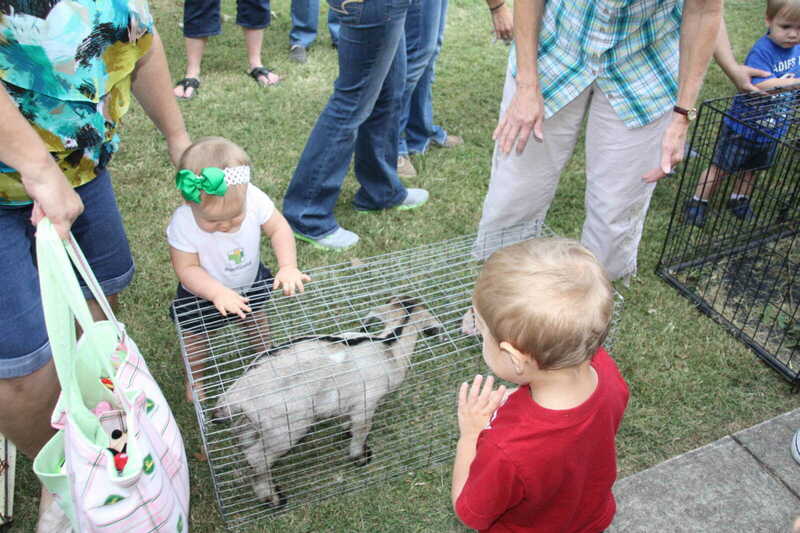 The biggest hit of the day was a small goat with which the tiny visitors got "up close and personal."